The Alpina Hotel, run by the Zangerl family, has a mix of modern decor and traditional influences. 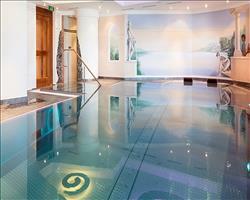 You'll see this in the ambient bar and lounge as well as in the luxurious spa area - the perfect place to relax. The Alpina serves delicious cuisine of local and international specialities. All rooms include a hairdryer, safe and internet link. Dopplezimmer Standard room - sleeps 2: Austrian twin beds, private shower and WC. Please note: The rooms have not yet been renovated. 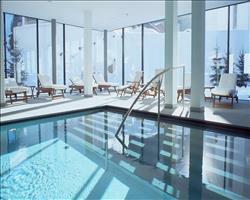 We update Hotel Alpina's details often, but facilities do change. e.g. some extras listed by the supplier as "free" or included might only be for the first time you use them, or for one time per party, then charged for further use. If any specific feature is essential to your holiday, make sure you ask us to confirm the details of it before you book your holiday. This package holiday to Hotel Alpina in Ischgl, Austria departs Saturday 14th December 2019, for a 7 night stay on a "half board" board basis. A local tourist tax (Taxe de Sejour or Kurtaxe) is levied by many councils in European ski resorts. It varies by standard and type of accommodation and is age dependent, so not everyone is charged. It's not included in the basic price of your holiday and is usually paid locally. For reference, the average charged in winter 15/16 was between 50p and £2 per person, per night. 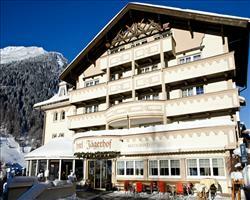 Ischgl lift pass price last reported as 219.00€ 6 days. 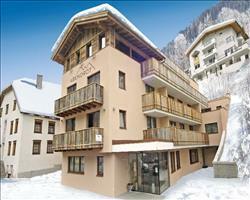 Ask for a quote when booking Hotel Alpina. 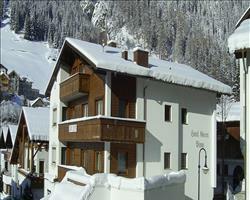 Chalet Hotel Aben... Ischgl Austria, Gatwick to Innsbruck 14th December. 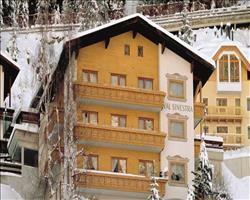 Hotel Madlein Ischgl Austria, Dover Ferry 14th December.